Aren't these cutest things ever? 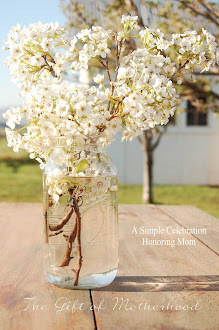 I love Ball canning jars and thought this was the best idea for summer. This handy dandy portable cup with straw is perfect for car trips, parties, or just to use at home! I have seen them many places...so this is a copy cat idea. But here is my take on how to make them! I made several and they were super easy, fast, and my kids love their new cups. First you will need to drill a hole that is 1 cm wide on the top lid. You can safely drill a hole by holding the lid tightly and letting it overhang halfway over a sturdy table or surface. If you don't have a drill, you can use a hammer and nail to make the initial hole. Then use your needle nose pliers to gently make a 1 cm opening. Make sure the underside has all metal around the hole pressed flat. You could also trim with small wire cutters. It just needs to be flat! It might take 5 minutes to put together. *I wash the lids with soap and water, dry thoroughly, and haven't put them in the dishwasher. Enjoy your perfect portable summer cup! ....okay a side note/reply to my own comment...because apparently I didn't write enough! ;P Anyways - two things - yes I realize this isn't your original idea - but I meant you always have good ideas, and I'm glad you share the ones you try that aren't 'your own'! It is all of your beautiful and easy to follow tutorials that drew me to your site in the first place!! Second - you said CM....not inches! I'm Canadian so I didn't catch it the first time through...but thought it was unusual for someone from the States...?? But what do I know - it just it stood out to me....okay...I'll go now...two small novels in one day is enough! ;) lol! Have a joyous weekend! I love mason jar glasses. They are so country and so summery. I bought some cute lids last year from groupdealz or something. It looks like a daisy cut out on the top. Very cool. Walmart sells plastic lids that too.